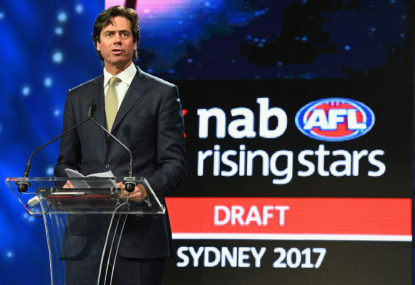 While the media spotlight is on the AFL this week with Round 1 commencing a host of local clubs around the country are also preparing for the 2019 season. 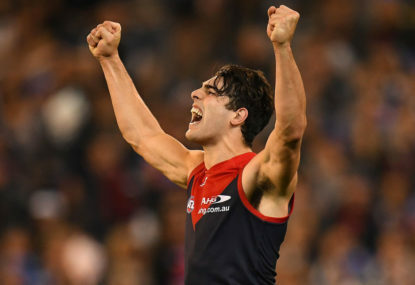 Last Friday night was a brilliant performance from Melbourne defeating Geelong by 29 points in the Elimination Final. 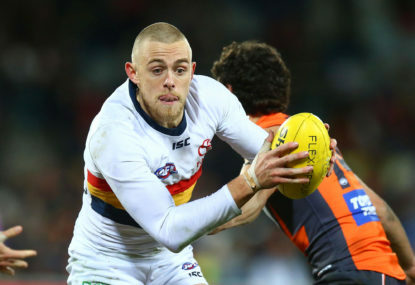 Hugh Greenwood was a speculative pick for Adelaide in the 2015 rookie draft. 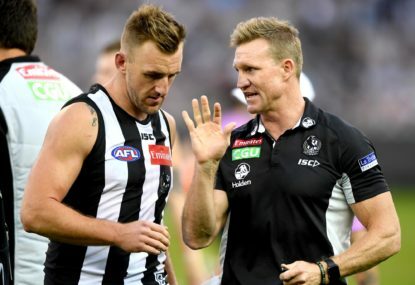 When Lynden Dunn departed Melbourne at the end of 2016 after 165 games to join Collingwood the move did not seem to generate much reaction from fans of either club. Sometimes you have to put your hand up and admit when you get it wrong. 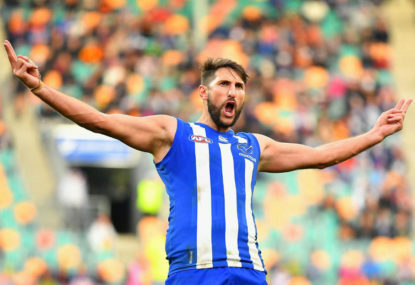 At the end of last season I thought time was up for Jarrad Waite at AFL level. 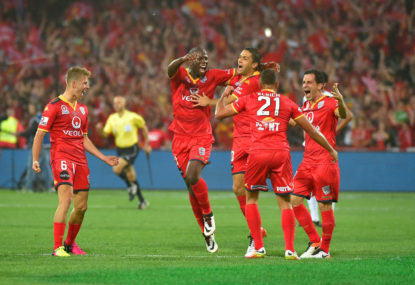 A new rectangular stadium in Adelaide has been an ongoing discussion, especially in the last year, with the city’s A-League club seeking support to turn this dream into a reality. 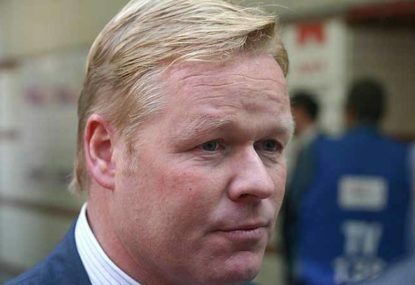 At the end of last season the general consensus was that Ronald Koeman had done a reasonable job in his first year in charge at Goodison Park. As I sat in the outer at Adelaide Oval last Saturday, I witnessed a remarkable Port Adelaide victory over St Kilda. 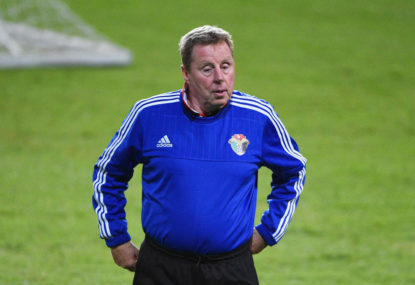 When Harry Redknapp was announced as interim Birmingham manager for the remaining three games of the season it was certainly somewhat of a surprise. 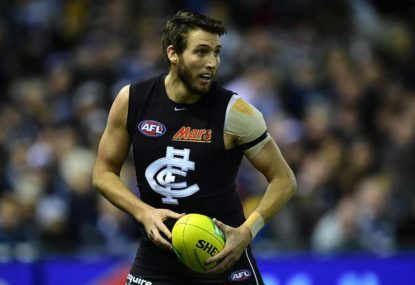 Does Dale Thomas have a future at Carlton beyond 2017? It was only last season that I was trying to spruik the possibility of Dale Thomas having a good year. Should Everton bring Wayne Rooney home? Wayne Rooney’s Manchester United career is nearing the end, with the club captain expected to depart at the end of the season. 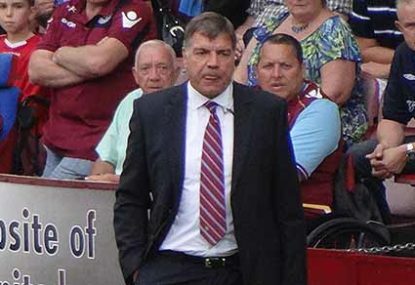 As Crystal Palace suffered a 3-0 defeat against a struggling West Ham team last Saturday it must have felt like Déjà vu for Sam Allardyce. Joey Barton is back in the EPL with the 34 year old agreeing terms until the end of the season with one of his ex-clubs Burnley. The attitude of some Adelaide United fans was somewhat strange before the Boxing Day clash with Sydney FC. 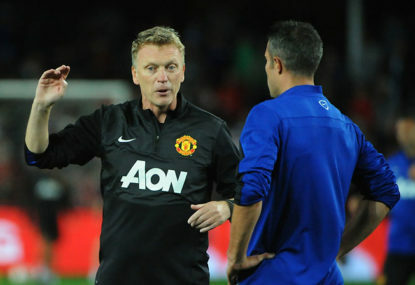 Is David Moyes the man to revive Sunderland? The current situation at Sunderland is certainly less than ideal. The Black Cats have failed to win a Premier League match this season and occupy the bottom of the table with two points from ten games. Bournemouth’s 6-1 dismantling of Hull City last Saturday reinforced that the Cherries are not going to be a one-year wonder in the Premier League. In days gone by spending £7m on a player would represent a significant investment for a Premier League club to make on a transfer, but not so much in today’s climate. 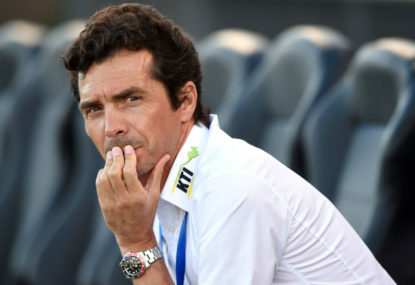 The A-League season is almost upon us and already some Adelaide United fans are apprehensive as to whether the club can back up last season’s successful campaign in which they completed the double, winning the Premiers Plate and Championship. Pendles for skipper of that team! I don’t think crowds are an issue at all. Membership numbers and engagement are trending in the right direction. I think the issue is they are just playing poor footy. Ken Hinkley is a genius. Miss finals 2 out of 3 years and not won a final since 2014. Despite being under contract for 2018 somehow managed to con a contract extension. This is a club that has missed finals 7 of the last 10 years. The ethos and standards at Port Adelaide were destroyed a long time ago. Great history and a proud supporter base but the current team is one that lets them down more often than not and 2018 is starting to tread down an all too familiar path. ” We Exist to win Premierships” Nothing but marketing spin now. I hope this weather clears up somewhat before the game. Absolutely awful at the moment. Not a bad read. Unless there is a miracle Jimmy Toumpas and Jake Neade should be straight-forward delistings at the end of the season. Hope he does well. United talking up he is a hard worker which is great…. but they need a striker who can put the ball in the back of the net on a regular basis. Which Dzengis Cavusevic have Adelaide United signed? Hoping Everton can put up a decent showing against Liverpool. Might be a park the bus affair. There was not much alternative in the end. The nature of that loss against Arsenal had to see action taken. Some very good points raised. Schneiderlin is a massive concern for me at the moment. I am still not sure what he was doing for that Brighton goal. Lookman is going to be an absolute star and he needs more of a taste now along with Davies. Next few weeks will also be interesting, if Koeman is still there will he give Ross Barkley and opportunity if he proves his fitness. I am more interested in getting correct news rather than fast news. I certainly find myself more disengaged with the mainstream media sources than ever before as a result. The need to break stories leads to sweeping statements and news without actually telling us anything. 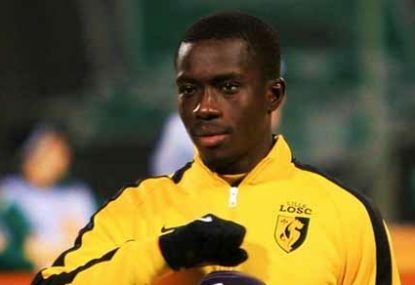 ” Player will leave club x, but may stay” If there is nothing to report then don’t report it. The Ken Hinkley situation is a prime example of people having no idea what was actually going on so making up versions of events then trying to justify reporting that was 100% incorrect. I have no issue with opinion pieces if it is something I disagree with. Maybe it is my economics background but i like evidence, I like statistics and like some type of rationale for how an opinion is reached regardless if it is the polar opposite of mine. But sensationalist commentary for the sake of it and then nothing else doesn’t really do it for me. Well written Josh. I still think Dangerfield needed a break with his foot injury so the suspension provides that. I was not originally thrilled when the rumors of a Rooney return were doing the rounds mainly due to wages but I have warmed to the idea in the last couple of weeks and now I am genuinely excited. Everton do not expect Rooney to be the messiah, he will be one of many additions to the squad who will all have a role to play for Everton to improve. He certainly still has something to offer and he might prove a few critics wrong along the way. 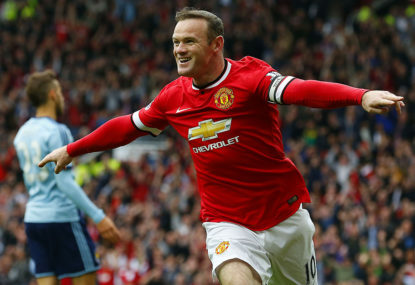 Is Wayne Rooney's return to Everton a triumph or a joke? That was a brilliant read well done. I had the opportunity to speak with David Noble for an hour or so pre-season and I really think he will do a great job. He and Fagan are well aware of the task at hand. It was only a few weeks ago (before the Port game) I thought Brisbane were really trending in the right direction,. Despite losing matches the average losing margin had come right down. Obviously since then things have not gone all that well. But there is enough evidence from other clubs that shows no matter how bad things seem, the wheel eventually turns. The money from Gui Goujie has already made this venture a success for Port. He is an absolute gun. At the time I thought Port made a good choice a couple picks before picking up Mitch Banner. Didn’t quite work out that one. Whenever Everton play badly it seems Lukaku is the scapegoat. I do no quite share the same confidence in Moyes. Not only due to current performances with Sunderland and Man United but also the stint at Real Sociedad in between that saw him get sacked. You can certainly talk about lack of resources, players, owner investment and simple bad luck with injuries and poor referee decisions against them. But I think Moyes also has to take the fair share of the blame for the current Sunderland predicament. Great article. The Crows are the real deal and will be around the mark at the end of the season. Obviously form and injury can cause fluctuations but all being equal they will be contending. With that being the case I am not sure I see a sport for Scott Thompson in the best 22. 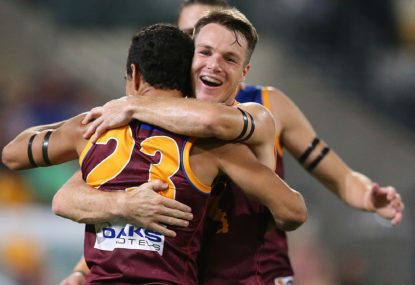 For all the issues around midfield depth at the start of the year I think Cameron and Milera have really stepped up and they still have Brad Crouch to come back in. While it is a good foundation for Port the key will be consistency. I think they might have a bit of a let down this week against GWS but should bounce back at home to Carlton. Injuries are an easy excuse to trot out at times but it has been a major issue. 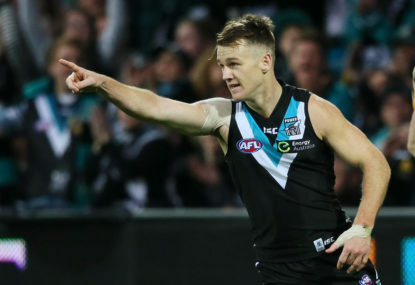 Not only Ryder and Polec back but Hombsch who missed most of last year is so important. I might be in the minority but I still think Matt White and Angus Monfries will have a role to play at AFL level. It is only 1 game. But the last time Port played Sydney was in wet conditions in round 20 last year, Port only kicked 4 goals for the game and lost by 11 goals. So they will certainly take the result on Saturday. Still a lot of work to do and I am still on the fence about whether they will play finals. But they certainly will not finish 16th which many experts seem to have them pegged in for. Is the Power finally back on at Port? He will eventually sign a new deal once the buyout clause is agreed. Butcher is certainly no star and the fact he was not picked up probably confirms his AFL days are done. But Port would have been better of keeping him. The strange thing is his second to last game at AFL level he kicked 4 goals. Then he kicked 1 goal against the Swans the following week and was then dropped. Kicking one goal might not sound like much but that was 25% of Port’s goals for the day. It was better output than Charlie Dixon! 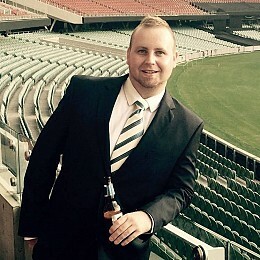 If Jake Neade is being selected in the first 18 the team is in trouble. The fact he has not been included in any of the pre-season games thus far gives me confidence he will not be in the mix for selection early in the year. I think the coaches have realised until he offers something in the form of actual possessions or impacting the scoreboard there is not a place for someone as just a pressure forward. Even as a pressure forward he doesn’t do a lot apart from running around trying to look busy. A complete lack of AFL standard skills will continue to be the major issue. A lot of work required before round 1. While the stupidity of contracts like Lobbe and Hartlett are well documented the club continue to make dumb decisions. 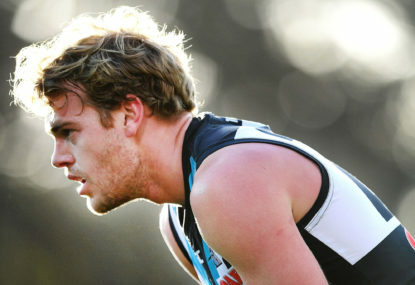 Tom Jonas has had a dreadful two years so what do Port do….Give him a 3 year deal. They simply do not learn. Tom Clurey should get the nod in the starting 18. Of that listed 22 I suspect Impey will spend more time forward where he finished last year off in ok form. But again like many of his teammates he burns the ball way too frequently. Along with Powell-Pepper I think Atley has done enough to warrant round 1 selection and Dan Houston may be a bit of smokey. The ball use going forward is nothing short of disgraceful. The issue with Charlie Dixon apart from injury history is his lack of scoreboard impact. 1 goal in 2 pre-season games to follow up the zero he kicked in the last four games last year rightly has Port fans concerned. Need a good performance this week against the Hawks to just try and generate some positivity around the club. Hopefully this will put a final stamp on it “Port Adelaide cannot sell a home game” The jumper issue is certainly Port’s fault and making commercial assumptions when buying this game has backfired. That being said I think the issue has been completely blown out of the water and I don’t think Koch should be getting as wound up as he is. Who knows how the game will play out and everyone will have different views on what will constitute a success with this venture. For me Port Adelaide having a relationship formed with Gui Guojie is already the biggest positive for them. And surprise surprise Leicester perform against Liverpool. Not sure if that vindicates the decision to move Ranieri or says more about the players who have now chosen to put in a shift.